ALL the colours of the rainbow exploded on Bassett park on Sunday. 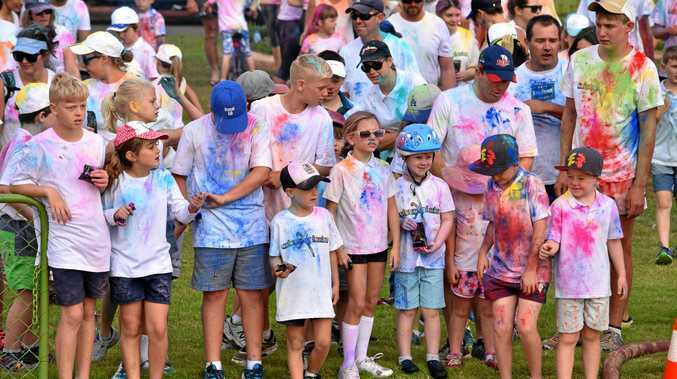 The ColourXplosion 5km fun run was a huge hit this year with hundreds turning up early Easter morning to compete. Competitors' donned in their brightest white attire soon became saturated in a colourful cloud of dust as they set out to either run, cycle or walk the course. Throughout the track there were different colour stations where competitors were covered head to toe in colour. 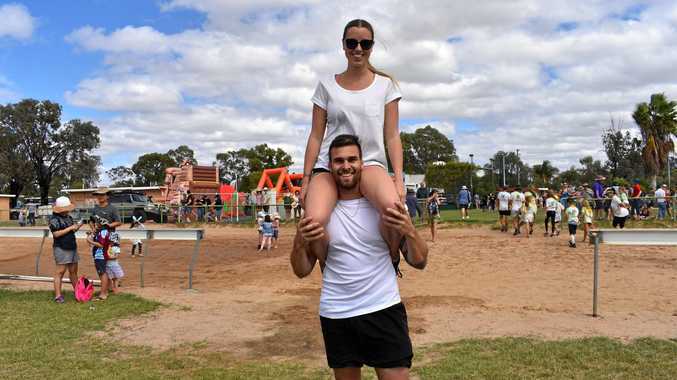 Roma PCYC are running a competition where they are asking for anyone who took part in the event to send in their best photos for the chance to win a $200 Gold Coast holiday voucher. Check out the PCYC's Facebook page for info. See our exclusive photo gallery from the event below.